Smartphone (or smart phone) is a mobile phone with an advanced mobile operating system.They typically combine the features of a cell phone with those of other popular mobile devices, such as personal digital assistant (PDA), media player and GPS navigation unit. 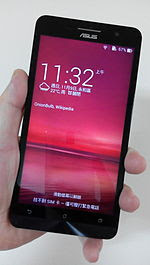 Most smartphones have a touchscreen user interface, can run third-partyapps and are camera phones. Most Smartphones produced from 2012 onwards also have high-speed mobile broadband 4G LTE internet, motion sensors, and mobile paymentmechanisms.